And hello friends! I've really missed blogging. And taking pictures. And talking about books. It's been a very long winter, it seems like. Spring has become my favorite season, even more so than fall. I've been teeter-tottering between the two seasons, trying to decide which one is my favorite, and I'm just going to go ahead and take a side. I LOVE SPRING SO MUCH. I LOVE YOU SPRING. Even when spring is late, even when it's cold, even when it's actually Mud Season, or Second Winter, or False Spring - I'm sorry but I'm just so happy to see 1) light and 2) cherry blossoms.....yep. SPRING. 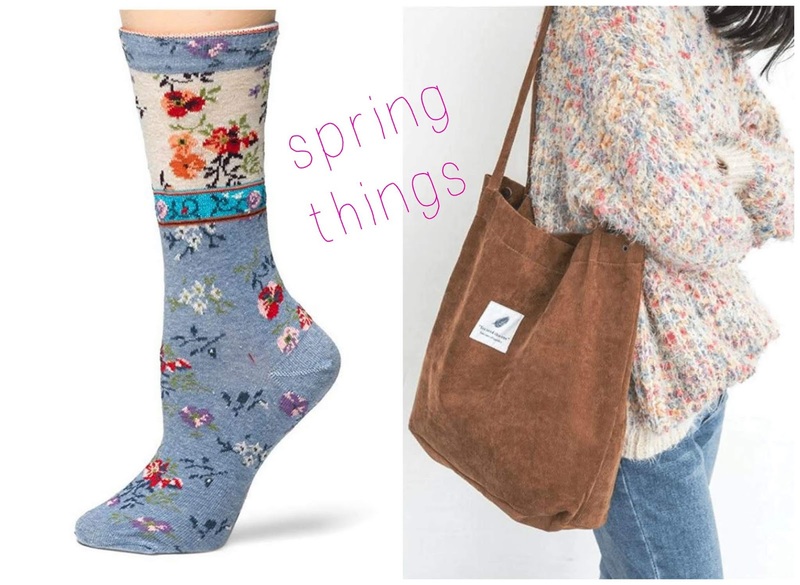 If you missed my last post, let me share again my news that my Spring Box sold out before I had a chance to advertise it. I'm SO sorry! I do these boxes basically as a lark, and I'm just one human, and I can't pack too many boxes on my own. Or let's put it this way lol - I sure don't want to. So I keep my numbers for each theme very small. I feel badly about it, so I put together this post to give you a wonderful spring feeling and hopefully provide some spring treats inspiration for you to seek out on your own. LOOK AT THESE DARLING LINEN SOCKS. Aren't they so beautiful?? I'd love to put some like this in one of my boxes, but they are pricey-ish for one pair of socks. They'd blow my box budget. Anyway, these come in various colors - I'm very torn about whether I like the china blue ones I've shown above, or the navy and orange colorway better. And isn't this corduroy tote bag so cute? I loooooove the sweater as well, but I have no info on it. The tote comes from Notebook Therapy, which has so many adorable things. I got this planner from them! Some of you might not know that I'm a part-time photographer - I took the photo above of newly emerging cherry blossoms and I've decided to make it available as a print. If you're interested, email me at juliasbookbag (at) gmail (dot) com and let me know what sizing you're looking for, and I can tell you about pricing. 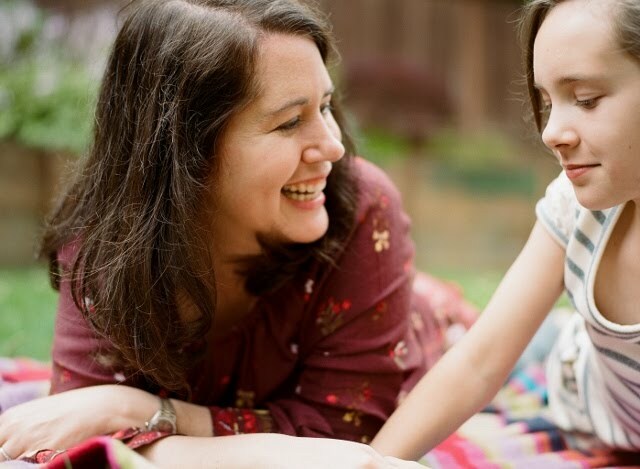 Julia's favorite lip balm in the whole world is Smith's Rosebud lip balm, and they come in so many varieties and the lip trio set is a great way to try several out at once. 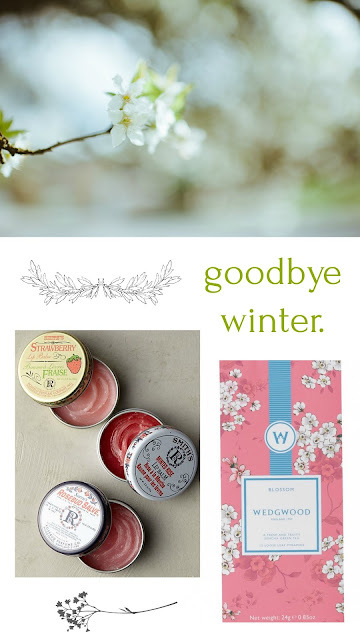 I used the Mandarin Orange balm in last year's Russian Winter surprise boxes. I just wouldn't be meeeeeeee if I didn't throw a tea item at you to consider. I recently came across this spring tea blend called 'Blossom' from Wedgwood. It's a Sencha green tea flavored with umeshu kishu plums and pink cornflowers. It sounds so delicately wonderful, and how about that packaging?? Gorgeous. Oh if you want to see some major tea time eye candy, check out more on the Wedgwood site - oh my word. The tea cups! The tea packaging! I'm probably giving the bags of tea to everyone on my holiday list next year. SO PRETTY. Please take a moment to imagine the gasping that went on when I first glimpsed this floral edition of 'Pride and Prejudice', from Tar & Feather Classics. There's charming and then there's this. Check out the floral 'Emma' edition as well! And lastly, I was very pleased when I came across this 'Hedgewitch Botanical Oracle' card deck. I love Oracle decks - I have a fairy oracle deck illustrated by Sulamith Wulfing that is truly enchanting, and sadly out of print. It's delightful to pull a random card with an affirmation to think about for the day. 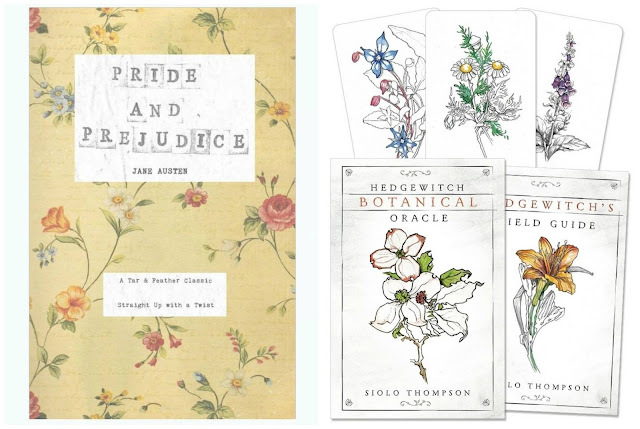 I love that in this botanical deck, the focus is on herb and plant lore, with the history and meanings of the botanicals included in the accompanying guide book. Happy spring time thoughts to all! Happy Spring to you, Melissa!! My birthday is in the spring, so naturally it's my favorite season! I want EVERYTHING on the Wedgwood site!! Happy Springtime Birthday to you!! Mine is in the depths of January, big UGH. Omigolleeeeeee that Wedgwood site - so amazing. Seriously in the same boat, want it ALLLLLLLLL. Just love your vibe and I love how you always stay true to your tea loving self! Thank you dear heart - I think I came into this world a tea drinking, floral worshiping, little English grandma lol lol.